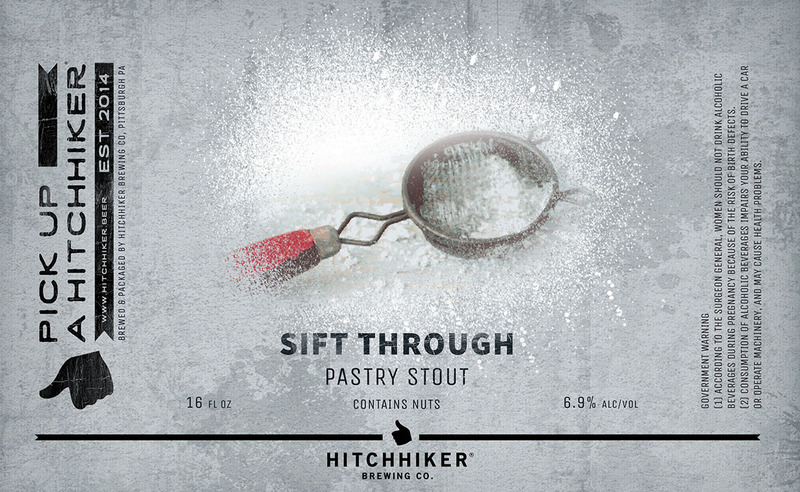 Sift Through | Hitchhiker Brewing Co. Pastry Stout brewed with pistachio, confection sugar, cannoli shells, and cocoa nibs. Conditioned on sweet cherries.